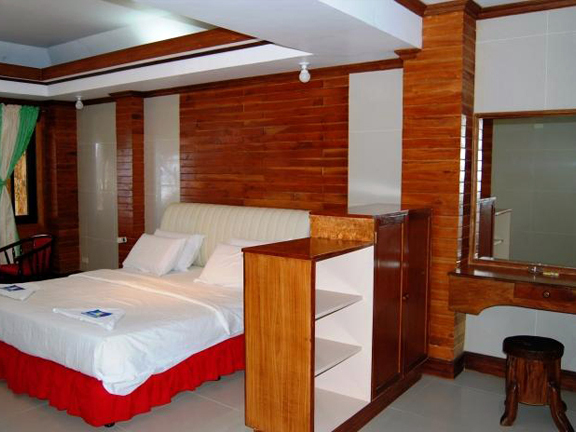 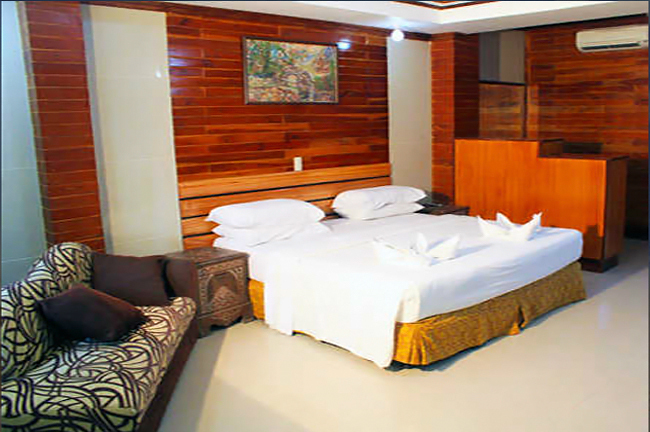 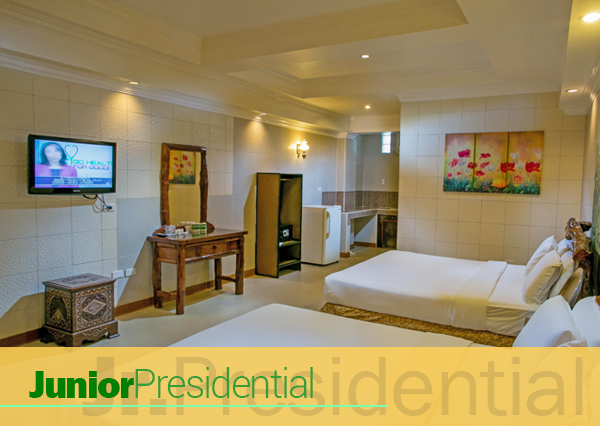 Our Junior Presidential room has a water heater, sofa, air conditioner, flat screen cable TV and a bathroom. 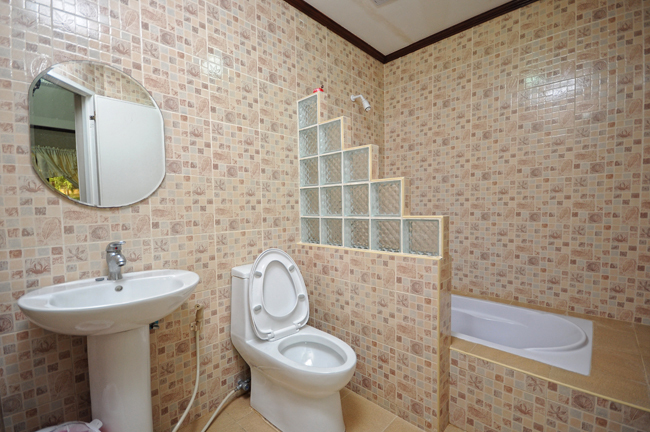 This accommodation comes with free buffet breakfast good for four(4). 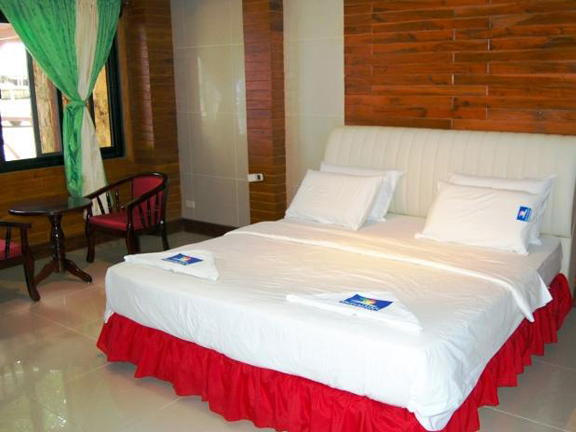 Extra person is charged per night inclusive with mattress and breakfast.